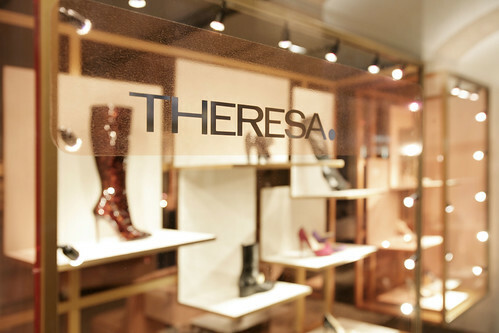 Susanne Botschen is founder and owner of the high-end fashion store THERESA. and the online-shop mytheresa.com. In this interview she gives an insight into her philosophy of building a brand online and offline. DLD: If I had never heard of mytheresa.com and THERESA. - How would you describe your fashion enterprise to me? SB: Both mytheresa.com and THERESA. are among the leading addresses for high end luxury fashion. Both carry an extremely well edited selection of some of today's most coveted brands. Our choice is made with a certain continental take on fashion focusing on the purity and femininity that is key to luxury womenswear. And this sets us apart from our competitors. We are also extremely keen on customer care which is very important for luxury companies, especially in fashion. Our customers are kings or rather queens, and we treat them that way regardless if they are first time customers or regulars. DLD: In 2006, you launched mytheresa.com the online branch of THERESA. Since then you've cultivated a "hybrid shopping culture" for customers. How important is e-commerce for your brand and company today? SB: E-commerce has become one of the major retail platforms and its importance grows daily. It gives us the opportunity to reach and create a global customer base with our luxurious multi brand offer. The reach is enormous and it's 24/7 which with our strategy of targeting customers not only in their home markets but also in their native languages puts a whole new spin on retail. It places our brand on the world stage which is what success in e-commerce is all about. DLD: THERESA. boasts a 26 year long success story, which makes you and your husband experts in building a brand. How does building a brand online differ from the offline business? SB: Building a brand online rarely differs from offline. For both you need a clear vision of the brand portfolio, the right edit and the service to your clientele. In the end, a stringent attitude with no compromises is key. DLD: Your online clientele has a global background - fashionistas from all over the world shop on mytheresa.com. How does this affect your choice of designers and products you offer? And can you give an example of how you reached out to your global customer base? SB: We have never strictly focused on a local client but always followed an international red line regarding our offer. From the very beginning at the THERESA. boutique, we have serviced customers from all over the world, and applying this concept online, is one of the ways we gained our international reputation and reached out to your global customer base. DLD: What do you think the future holds for e-commerce in the fashion industry? SB: Believe it or not, the entire concept of e-commerce is just beginning. The customer is now starting to realize and take full advantage of the possibilities and perks of shopping globally online. Crossover strategies between on and offline retail are more or less in the initial stages with immense potential to expand and develop. Mobile shopping for example is a huge topic. 24/7 access and an extremely personalized offer are key. It is more about customer service than ever, one of the cornerstones of creating successful online and offline businesses. At DLDw13 Susanne Botschen will be speaking about the future of e-commerce in the fashion industry.